Bonjour my dears. 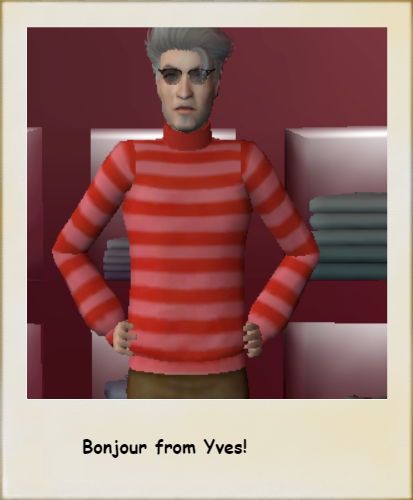 I am Yves Moreau and along with my friend, Claude Martin, I've moved to a new town in your Sim's World. As someone who has an interest in sewing and fashion, I now offer a few of my clothes for you other "seasoned souls" to enjoy. Here I am in classic black and white--you never can go wrong with these shades whether dining al fresco with a young lady or picking up a few baguettes from the bakery for your breakfast. 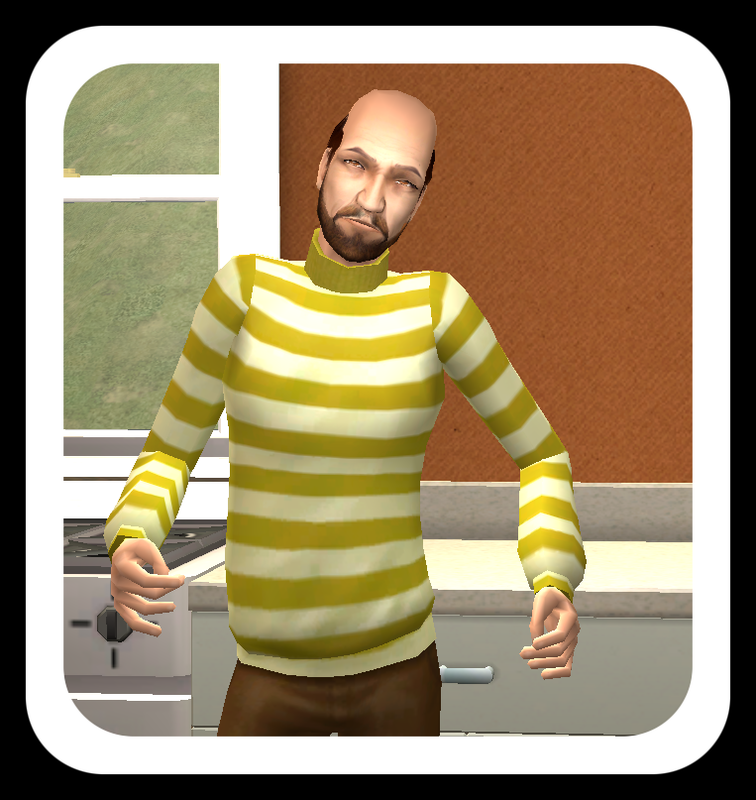 Claude is wearing one of my favorite recolors--a butter yellow striped shirt in pima cotton with brown trousers. He looks ready to take on the new town either going lawn bowling down at the park or browsing art at the museum. Chances are, Claude will know everyone's name within a few days, anyhow! Although we just moved in, I have already set up my sewing machine and I'm busy designing new fashions and ordering fabric swatches. 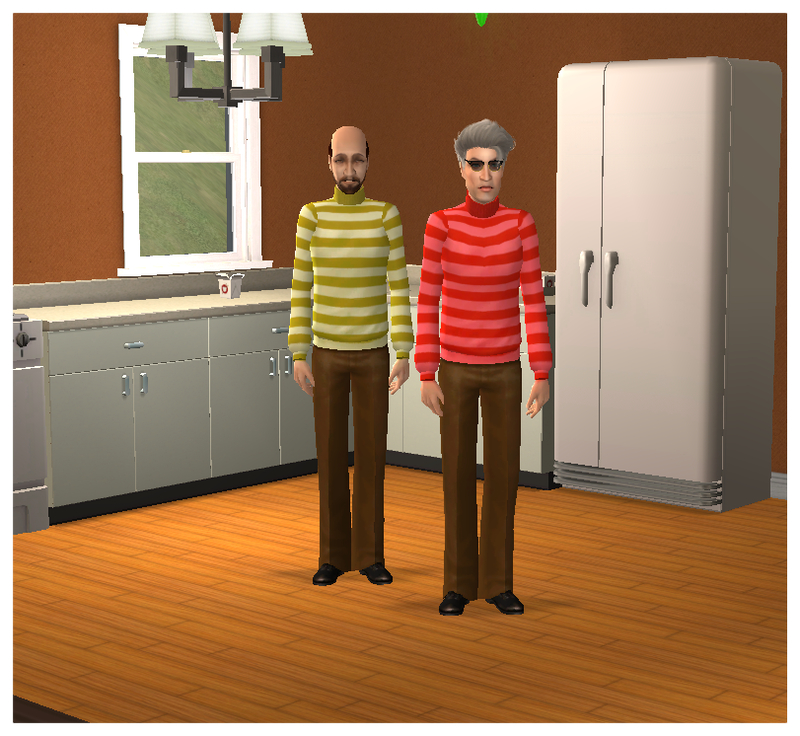 Claude asked me to change into the red striped shirt so we sort of matched before hitting the disco last night. It was good exposure for my work and I'm sure it impressed the ladies. 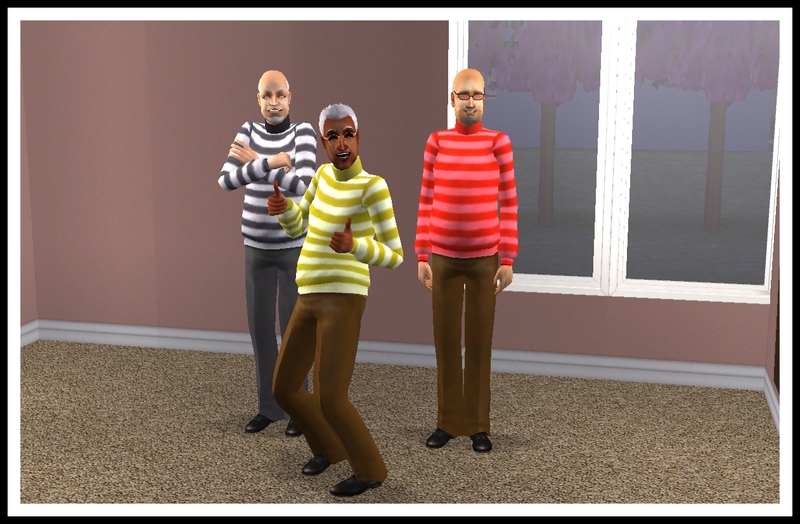 How thrilling to see some local older gentlemen trying out some of my recolors! This town is already dressing better! 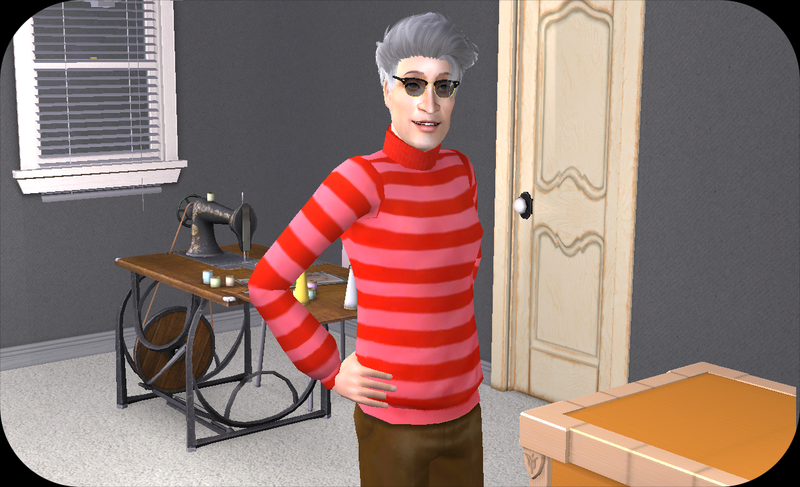 I hope you like my clothes and order more of them for your elders. Remember, over middle age is not over the hill. We still have some pep in our steps so don't call us Grandpa if you see me down the bar or the beach or happen to catch Claude swimming in the local pool (he's a sportsman as well as a good friend). Now for the boring stuff. They are included with this download because the site is now (sadly) dead and you can't find the link for the mesh(es) too easily. I did not make the meshes. I recolored them in red, yellow and black and white. I just started learning The Gimp editing program because I can't get my Paintshop Pro to run on my laptop. 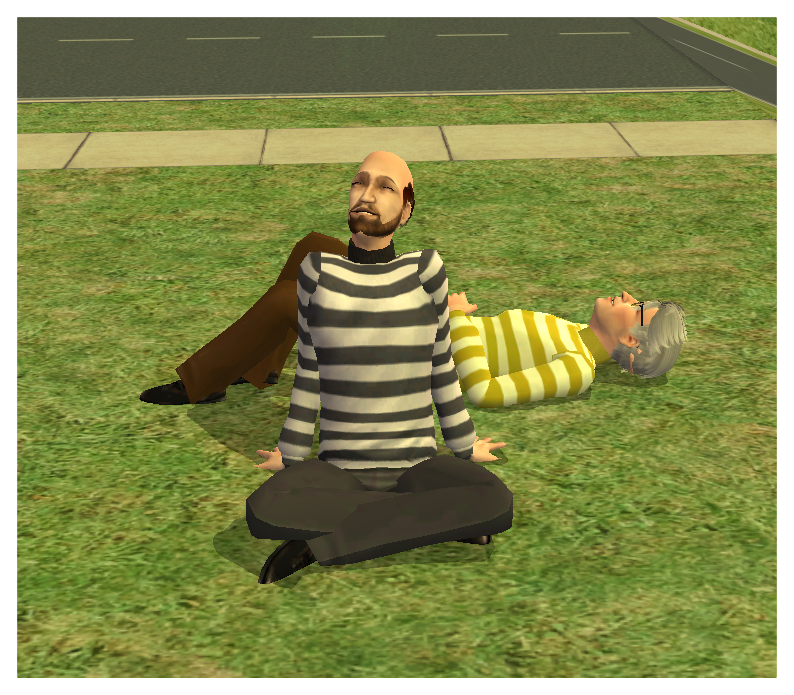 I hope the story of Yves and Claude amused you. This post is not meant to mock anyone so please don't be offended. 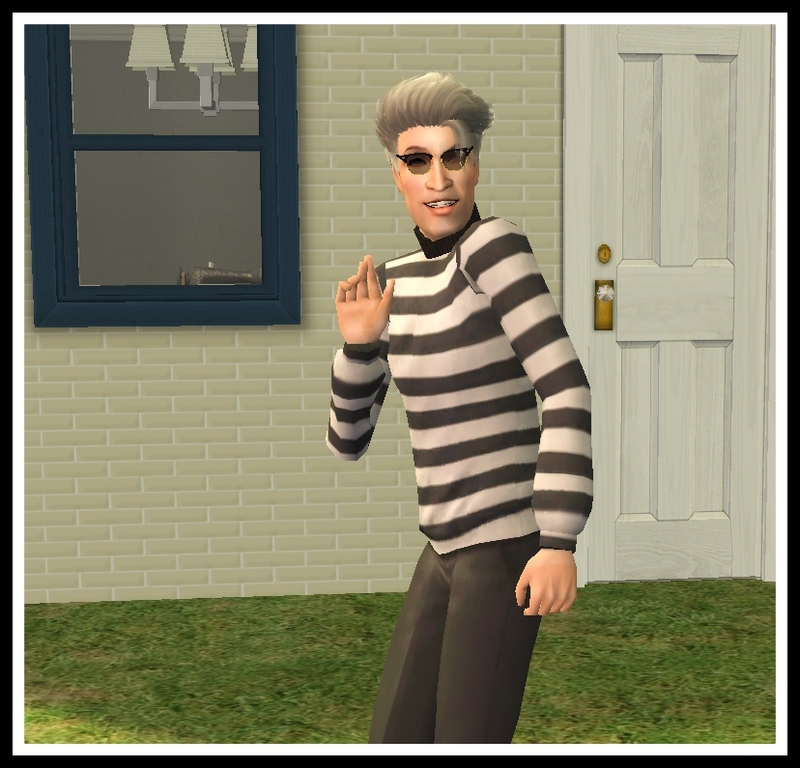 Thanks for the help offered by the mods and members at Mod The Sims. Thanks to AAS for the meshes. They made awesome clothing and will be missed. 23 people have said thanks to HCAC for this download. Sportswear for your male elders!